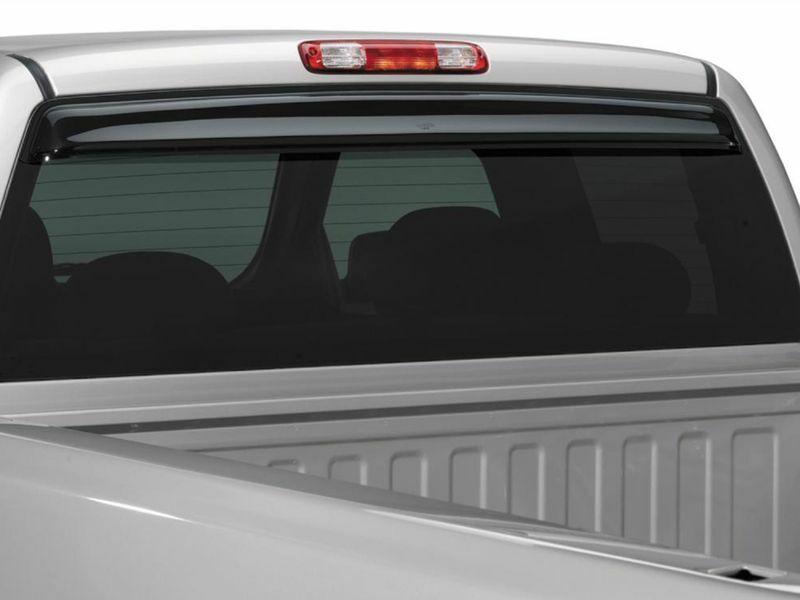 Auto Ventshade sunflector rear window deflector shades the rear of your pickup truck cab from the sun and other elements. It is custom fit and protects your vehicle's interior from the heat buildup and the sun's glare. The Sunflector is molded of smoke acrylic and fits OEM windows. It fits cabs with or without sliding windows and vehicles with or without cargo lights. The AVS Sunflector offers easy, at home installation using 3M brand OEM approved tape. All you have to do is simply clean, peel, and stick to install. They are backed by a limited lifetime warranty. All AVS products have a limited lifetime warranty. AVS Sunflector rear window deflectors offer an easy at home installation. For additional information call us at 1-877-216-5446 or 701-253-5906.